Costco has changed the coupon books quite a bit this year. We’ll cover all the changes below and explain how it will affect the consumer as well as the warehouses. The most noticeable difference is the frequency with which they’re published. Read on to see how your shopping habits might be changing at Costco! 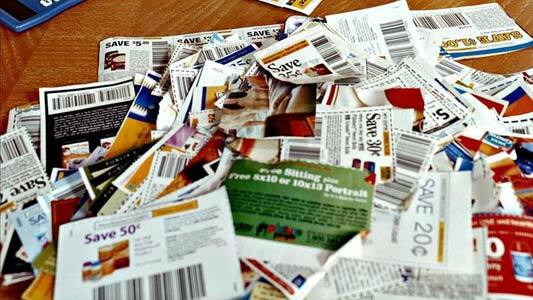 There’s no longer going to be one coupon book per month (12 per year), but instead, 10 throughout the year. In other words, they’ll be more spread out. The coupons will still only be valid for 3.5 weeks, but there will be more time between the coupon books. The Costco coupon books will now be smaller in size. There will be less coupons per coupon book. For a lot of shoppers, the coupon books entice them to go into the store. With fewer coupon books throughout the year you will likely go to Costco less often. Costco and their vendors don’t like when the customer buys a bunch of an item when it’s on coupon once per year and not throughout the year. They would rather offer everyday low prices, for example, instead of an item regularly being $9.99 with a $3 coupon making it $6.99, they’d rather offer it at $8.49 every day. The downside to this is that a lot of times the new everyday price will be the same or very close to the price you can find outside of Costco. The Costco managers feel that their hands are tied during the coupon book period. They have to feature the items in the coupon book throughout the store. That includes the fence as you walk in the store, the endcaps (ends of aisles), and other key pallet positions. They would rather have more freedom to be able to feature items that they think are a great value to the member. Many retailers (such as Kohl’s) have gotten in trouble recently for when they advertise items that are always on “sale” even though most of the year they’re at the sale price. Instead, that needs to be considered their regular price, otherwise it’s false advertising. So, if Costco has items on coupon too often they could potentially end up in a lawsuit, which we’re sure they’re trying to avoid. We love having the coupon book monthly! The more items featured throughout the year the more incentive we have to try new things. We think this change will precipitate us going shopping at Costco less often, and likely other members as well. If we had to guess we think this will be a failed experiment and Costco will go back to monthly coupons, but maybe that is just wishful thinking. Have to agree. We often go ONLY because particular items are on sale, then buy other items as well. If there’s not a sale going on, we’re more likely to buy at the local grocery store and save the much longer trip to Costco for a time we absolutely need something from there. i think it’s a horrible idea. Thats the only reason i go mostly so this doesn’t help me feel a need to go at allor even want to stay a member maybe . the sales are the best part bC sometimes it’s better not to even buy there n just by at Walmart not in bulk because it’s cheaper! We will surely drop our Costco membership when it expires. Between the higher price for the membership, the terribly long checkout time, reduced coupons and higher prices storewide, and higher gas prices at the local stations, there’s very little reason to bother with Costco. Sam’s Club and BJ’s are nearby, and Lidl is expected to rapidly expand with a closer store, better parking and locations and less hassle overall. Too bad for Costco, but no longer has a value proposition that makes sense. They keep moving things around, and there is NEVER anyone around to ask where something is! Costco Membership Fee Increase! and new this? I don’t like these changes a bit. As Kathy said, we also go to Costco mostly to take advantage of sale items. Then, of course we buy a bunch of more stuff. For us, getting good deals thru coupon book, it was a way to counterbalance the annual membership, just plain and quick math to feel money savvy☺. I’m confident this will turn into less frequent visits to Costco, or even cancelling the whole membership. I typically go to Costco every other week. There are enough items I regularly buy that I’d go regardless of the coupon book. On the other hand, the coupon book was a fun project, it always had one or 2 items that I’d stock up on. With the regular prices pretty low to begin with, the extra few dollars made these deal feel like an extra bargain. So, yes, not happy to see this change, but it won’t affect my visits or membership. But you can find the same items on sale at other stores, and they will be cheaper than Costco’s regular price guaranteed! I appreciate the advice. I’ve been a Costco member since 1995, and I’m very aware of unit pricing. I’d agree with you, there are some items (paper towels, TP, Tide detergent) that I get a CVS far cheaper. But the items I buy at Costco are the ones that make sense for us. Which begs the question, if you can find all item cheaper, that means you are not a member. Why do you bother coming to this site? You won’t see me at a BJs or Sam’s Club site. Actually I was a member for many years, but now that I’m single I have to make the decision that affects me the best, so I do shop around. With all their changes I am still deciding. I came to this site because I can, free speech and all. I will be shopping at Costco less. The coupon book brings me in because it makes the prices worth the drive (an hour away for me). Great. This will save us money. Same as others have noted I go in for a sale item and buy other things. And some things I would never have tried if it werent on sale. Some I buy agin not on sale and some I wish I hadnt bought at any price. Fewer trips to Costo. I predict I will spend at least $1000 less this year at Costco. Thank you Costco. I was wondering how I would break my addiction! Less coupon books is great news for me. I am sooo happy I did not get the Executive membership. First I hate going to Costco because I always spend too much money (hundreds of dollars) 12 times a year and I stock up & buy items I don’t really need or just buy new items to try them out. Second I won’t need to drive the long distance to get to Costco 12 or more times a year. So less coupon books means less spending at Costco, no need for Executive membership and less gas for my vehicle. Love it! This is almost as bad as our local DFW Costco doing away with the Polish Dogs. I guess public outrage was too much and they brought them back. No one I know wants to eat a chili dog eww. Chili dogs? I’d love a chili dog, especially with cheese. Never saw those in the Southwest Denver location! I’m glad because the coupons cause us to go to Costco instead of shopping online or at our local stores. This will be a much more stress free year! At the very least, this will bring us to reconsider our Executive membership. We were only inconsistently getting benefit of the upgrade as it is, and that was before the upcoming price hike. Hmm. The reason for this is too many people take advantage of Costco’s good nature as a business. People coming in who are not members, shopping with cash cards; people returning 5+ year old items (or more); EBT abuse; multiple people shopping on one non-transferrable membership; theft, and just general poor member behavior. True Costco loyalists are upset at these egregious abuses and it is only a matter of time before Costco tightens more of these issues. As always, it is a few bad apples spoiling the lot for the rest of us. What does reducing coupons have to do with alleged policy abuse and meaningless terms like “general poor member behavior”? If Costco does not want someone to return 5+ year old items, it should change that policy. If Costco wants to limit who visits its stores, it should have the doorperson restrict access. Those coupons are sponsored by the companies that have products in the book. If a vendor is getting squeezed on everyday prices to compensate for the things like ridiculous returns and non-member shopping abuse, they’re not going to want to give discounts for the coupon books like they did. I don’t know why so many people spend so much time and energy trying to get around buying a membership anyway. The membership fees are what keep the prices low in the first place, so if you want to shop there so badly, just pony up the money and join already. I wasn’t aware of companies sponsoring the coupons. Thanks for that info. But I am always asked for my card at check-out. How do non members get away with purchasing without a card? They don’t — it’s her speculation. One must present a membership card before anything is rung up at the checkout stands. There are a few exceptions, most mandated by law, including prescriptions and professional services like eye exams and hearing aids where purchases are made at those vendors’ registers. They do get away with it as witnessed by me just a few days ago at my local Costco. Three people were together shopping, each had a cart. The first person was the member. The other two were her friends. She went through had her stuff rung up and sub totaled. The next person the same thing and sub totaled, so did the third person. The last 2 handed her hundreds of dollars in cash and the first person paid for her stuff on her card. No one stopped that action. Mary, my grandmother used to go to the PX with another lady and do the same thing. They should call the police. Then it’s Costco’s fault for not properly training its cashier staff, not ejecting the non members from the store, not calling the police or all of the above. Everything is on video and saved. Come on, is it really worth getting so worked up over? We’d all be better off, healthwise, to mind our own business…meditate, breathe, and just pay attention to your own self. Take your own advice, sweetie. That is not a policy violation, they have allowed guests for years. I have been a member of Costco son after they opened their first location in Seattle. Really, so what. Look at all the products purchased that wouldn’t have been. Costco’s not losing money on that. I don’t feel sorry for them at all. I’d like to see them not charge a fee for ONE year, and see where they come out. Of course they’d have to advertise it. Not speculation, Einstein. Factual information. Ask any employee. Shame on you, Cassie! Grow up! Better yet, GET A LIFE, sweetie! Having trouble admitting you’re wrong, so you have to infantilize a woman in a sexist attempt to build yourself up? What a wanker. Grow up indeed! Welcome to the blocked list, Greggie. Again, sweetie, get a life! That’s your own pure speculation at best. What the heck is non-member shopping abuse ? If I buy online, I pay a 5% premium. I go to the store maybe a few times a year. They should look at my purchases as “extra profit”, not abuse. The last time I returned something, I watched a “member” try to return a 7 year old lawn mower with no receipt. I call a 7 year old lawn mower dying the end of its useful life. And you can bet they wouldn’t let a non-member do that. Sams is 5 minutes from my door. Costco is 35 minutes. Id go to Sams more if I could get in with a gift card. They even have a groupon going where you get a year for like $20 (effectively). Its just not worth it to me although I like shopping there. I buy very little gas and when I do, I get it for cheaper than Sams with discounted gift cards. I’m single and I just don’t buy a lot. What low prices?, most of the time if you’re a smart shopper you can get better prices on a lot of things from other local stores. EBT abuse? Members that bring a guest? Merchandise more than 5 years old (this allegation is suspect)? What are you, the Costco cop? How do people shop at CostCo if they are not members? Multiple people shopping on one membership could easily be solved if the clerk took a look at the picture on the card. In fact, once when my husband had placed his own membership card (we have a business membership, and I tried to pay, the clerk commented on the discrepancy. Fortunately, my husband was along with me, and I could have used my own card, too, if necessary. What?! You think that doesn’t happen Everywhere? Since the quantity is larger products, nothing gets put in pockets like at other stores. Frankly, you sound a little upitie as you look down your nose at people you know nothing about. Well, members want to pay less for membership, but that ain’t gonna happen. It is time to renew next month and I won’t be renewing my membership because of this. I was considering not renewing anyway because Costco is a 30 minute drive for me and I felt I was barely getting the value of a $55 per year membership going once per month. The monthly sales were literally the difference between it making sense or not making sense. 7 times per year and less deals each of those 7 times makes it an easy decision for me. I am sure this plus the $5-10 increase in membership is going to cost them tens of thousands of subs this year and reduce sales. Will they make the connection and reverse course? Probably not. It’s too bad, but I have to say “Goodbye”. You are not alone. But are they even listening? Doubtful. I only go when I see what’s in the new coupon book. Looks like I’ll be making 5 less trips a year where I always spend way more than I need to. Dumb move Costco. I’ll probably go once a month as usual, but I think I’ll spend a lot less. If I stock up on stuff it will be less frequent and I’ll fill in with regular (not Costco) store offerings throughout the month. I’m afraid this will not help Costco. Maybe they should price some of their frequent coupon sale items at a lower regular price, but still offer a coupon book monthly with specialty and seasonal items. I’ve also noticed that they have been offering more Kirkland brand items taking the place of name brands (which I don’t think will help them, necessarily). An example would be Yuban coffee. We’ll see. I guess the important information to know then, will be the dates of the new deals. Cant really call them coupons because you don’t use coupons. They are sales where you might pay extra sales tax. the problem here is that costco’s non-sale prices for so many items are rarely actually cheaper than what i would get at a grocery store. i live in the chicago suburbs, where typical prices are pretty cheap because of a huge glut of groceries. so non-sale items like toilet paper and paper towels, produce, packaged cheese/meat, cereal and peanut butter–none of these things are actually cheaper, yet i’m spending way more because they’re bigger sizes. our youngest child no longer uses diapers (again, only worth it when on sale) and a career change has reduced our need for the cheap gas. our membership will be canceled before we renew next. I will save a TON of $$$ by going to Costco less – i typically go to Costco when there is something on sale with good price – if that wont be the case then I wont be making the trips. I do not need a 1000 pills of anything and the bakery goods now a days with questionable ingredients like Carrageenan, silicon and enriched flour – makes Costco (especially Kirkland items) more like Walmart quality then the healthy food I use to buy at COSTCO. The coupon book motivates me to go to Costco… if I get it less often, then it’s very likely I will shop at Costco less often. That’s too bad. LIke another member posted, I hope it turns out to be a failed experiment and the coupon book goes back to being a monthly feature. I love my Costco here. But my main benefits are gas, prescriptions, booze, and the roast chicken. I don’t go otherwise unless there are coupons and I usually then buy as much without coupons as I do items on sale. I will probably end up buying less and reconsider my Executive Membership. I may even drop it entirely. Last year my check was over $140, so they get their money’s worth. It sounds like a newly minted MBA got the ear of the board and doesn’t get Costco members. I hope someone at Costco reads this site and comments from their customers. I too think that fewer coupon books likely means fewer trips to Costco and less money spent. They are quite possibly going to lose revenue with this maneuver and hopefully will reconsider sooner rather than later. As evidenced by comments here, customers – myself included – are NOT pleased. I live a fair way from Costco & use the coupon book as my base for shopping. I will be going to Costco fewer times throughout the year. Raising membership & cutting back on coupons……..not a good move. We recently got a membership here…think my husband joined with the higher priced membership. When it comes time to renew we will just be going with the low membership of $55. Costco is about a 40 minute drive for us so the coupon books did entice us to go! I will admit, I did go with a friend who had a membership a few times but that helped me in deciding to become a member! I do plan to continue our membership despite the changes. When we do go, as stated by others here, we spend a lot of money! This is couched as though it was a surprise that people stock up when an item has a coupon. I would have thought they planned this behavior. Weren’t coupons originally supposed to be much like a sale price where a retailer got a good deal because stock was moving slowly in the supply chain and they wanted to move it? My future strategy will be to buy things when I need them…go home and use them…then when a coupon is later available for those items, go in and buy them at the lower coupon price, take my old receipt for the full-priced item, and get my full-priced refund by returning the newly purchased item. YOU’RE ON NOTICE COSTCO. To overcome this strategy, you’re going to have to change your generous return policy which will destroy ALL of your current competitive advantage. BJ’s and Sam’s looking better all the time. Actually, many box stores will do that, Target for one. So not that big of deal. Giving a customer a refund for the difference on an item that went on sale,usually within 60 days later, is a service of most box stores. So Costco is not special for doing it too. The receipt should specify how many days. Most people think it’s a pain, but it’s not dishonest or illegal. I’m not sure that I understand the problem with stocking up when something goes on sale with a coupon. Although some coupons allow you to buy an unlimited quantity, most have a limit of some sort. If folks are purchasing to many of a sale product, all they need to do is adjust how many you are allowed to buy. I don’t really see this as an issue. I can understand the membership increase since they haven’t had one since 2011. But I do look forward to the coupon book and it does drive some of our purchases. I think that this move will be a mistake, and I hope they rethink and reverse this decision. It makes me think they’re just looking for an excuse. It’s not enough that they charge you to shop there. That’s never made sense to me, yet I’d still shop there. CEO must need a new vacation home. This would explain why I haven’t seen my laundry soap on sale in months, where as before it was every few months. They quit carrying our Talking Rain flavored water we have been buying for years and replaced it with the Le Croix which the local grocery stores have a better deal on than Costco. I have also noticed other items are cheaper or closer in price at the local grocery stores than Costco also. Maybe we won’t be renewing our memebership, if that fee is going up but coupons are declining what is the point? My biggest complaint is they took away out our self check outs, so when shopping and only needing a few items you have to wait in line behind someone with a full cart. I asked and they won’t start a “5 items or less” for instance, check stand. I don’t understand why companies are changing things against their faithful shoppers or taking part in politics. What good does it do for their business to push customers away? My hubby mentioned, after I posted my comment yesterday, that I should have mentioned how disappointed we were when they removed the self service checkouts at our Costco. We had used them all the time and we loved the convienience. Like you, we could never understand why, especially after they removed the self checkout lanes, they wouldn’t implement a limited item checkout like all the grocery stores do. Although the lines usually move pretty well, it’s frustrating to be stuck behind members with carts filled with merchandise and I need only 2 or 3 items. I just have never understood why they did this. We have always been big fans of Costco and have always said good things about it to our friends and acquaintances. I think that they are taking their eyes off the ball and it is going to have negative repercussions. They removed the self-checkout lanes because they were losing money hand over fist because people were walking out of the store with stuff they either intentionally or unintentionally neglected to scan. Well, then, the receipt scanners at exit doors must not have been doing their jobs, were they? there are a handful of staples we like (the organic tortilla chips, skinny pop, big bag of broccoli), but I guess we’ll be shopping a bit less frequently. Maybe once a year I’ll find a good closeout (found a good sleeping bag marked down from 39.99 to 19.99), but that’s a very rare occurrence. It was only a great deal for us when we were using the Kirkland brand formula (around half the price of the name brands). It doesn’t make that much difference to us. Costco has been running unannounced discounts in their stores for the last year or so. If you go into the store about once a month, you see them. The markdowns are good for about 3-4 weeks. They’re not published in the coupon books. Some products in the coupon books were repeated several times a year. I doubt we’ll adjust. If the product isn’t something we use, we don’t buy. I don’t think we’ve only bought one item to try out because of the coupons. Up here in Canada our Costcos run their coupon savings on a weekly basis not monthly. Every week there is a short 1-page handout showing the deals for the week. However, in addition to the small sheet there are many more “unnannounced” deals in store for the week. You don’t know what they are until you check them out in the store. It sounds like your US Costcos will now be closer to ours in terms of unannounced discounts. Up until now your discounts were all announced and now they will be a mixture of announced and unannounced. Bad decision by Costco. The coupon book always motivated me to go to the store and, like another customer pointed out, I usually end up buying more while I’m there. I was waiting for the new coupon book after 3/12 – looks like it’ll be awhile until I head back to Costco. I think this new coupon book scheme will fail – less visits equates to lower revenue, not something Costco would want. I shop a lot at Costco, and there are some items that seldom/never go on sale and are really better there than elsewhere. But increasingly (and I’m sad about that) without coupons that deliver real value, I shop elsewhere and do about as well. The coupons often enticed me to try something new or to buy something “extra” for the house or a gift. I’ve noticed a lot less enticement, so I’m guessing they will be getting less of my discretionary spend. I don’t see this as a successful tweak for Costco. From what I’ve read here is that the savings with coupons are what makes the membership fee a little more acceptable.Psychologically, most people are drawn to Sales, and visualizing what they’re saving makes purchasing easier, and can be more spontaneous. It’s a no brainer. I live 10 min. from Costco, but like many others in this thread, what justifies a trip is getting the coupon book. I usually go once when it comes out and often once again before it expires. I almost always buy far more things than what’s in the coupon book. I hope they quickly reconsider, as I’ll likely make 14 trips / year instead of my current average of +/- 25 trips per year. Anyone who thinks they get a better deal at Sam’s is mistaken. I regularly shop both stores. I’ve been a member of both for many years, and both are conveniently located to where I live & work. There’s no comparison in store quality, appearance, policies, employees, and overall customer experience. Costco’s vastly superior compensation and benefits program for its employees is clearly evident in every aspect. Costco is by far the better store, hands down. Both stores carry a lot of same/similar products. However, Sam’s carries more vendor-related supplies, while Costco carries more consumer related products – especially more upscale items. So there are valid reasons for someone to prefer one over the other based in their needs, or to shop at both. Regular shoppers can find excellent clearance bargains at both stores, particularly on seasonal and perishable items. On products that both stores carry in the same size/quantity, the prices are generally the same at both stores, but Costco is quite often cheaper. You may sometimes find the same product at Sam’s at a lower price, but that’s usually due to a smaller size/quantity. In recent years, Sam’s has virtually copied Costco’s coupon book. They get a lot of the same manufacturers to offer similar coupons, however, the discounts are often smaller – even on products where both stores carry the same size/quantity. Sam’s also strictly enforces discount quantity limits per membership. Their system tracks your purchases, and once you’ve reached the coupon limit you are done for the entire “sale” period. Whereas at Costco, the coupon limits are generally enforced per visit. I always look forward to the monthly coupon books. I’m very disappointed to hear of the reduction in frequency. I know some customers buy what the want when they want, regardless if an item is on sale or not. I’m not one of those people. Coupon deals often get me to purchase more of an item than I otherwise would have, or to try an item I may not have considered purchasing. Fewer coupon deals offered less often will probably save me money because I won’t be purchasing as much as I usually do. But that’s hardly the Costco Experience that my credit card and I have enjoyed over the years. Sam’s Club is “Wal-Mart” and Costco is more a “Macy’s” . . . . .
No “Rocket Tech Degree” needed! Interesting. I’ve only shopped Sam’s a few times, and all I noticed was the bakery items were cheaper. But I don’t want to have to compare prices, it makes me tired. Didn’t they learned the J.C PENNY lesson? I emailed Costco about this and they sent me an email back that they had no information on this and that coupon books would still be issued monthly. Any idea why the conflicting information? This will not change our Costco shopping habits much – but for those that count mainly on the “deals” we suspect this will affect their visit frequency. At least there’s always the unadvertised $x.97 clearance items! 🙂 It’s like a treasure hunt. I have never seen clearance on anything at Costco! I’ve always wondered what they do with all the seasonal items left over?! Where do they hide them??? $5.00 more is not bad. Thats is cheaper than one meal at Mcdonalds or one coffee at Starbuck. If I see something I use on sale, I just stock up on it while its on sale. I am also one hour away but it still is worth it to me. Also, with respect to items that do go on sale, is there a pattern to how many months apart they are repeated ? Since when is 10 ‘almost half’ of 12? If the new ‘everyday price’ is the same or very close to the price you can find outside, since it is too much trouble to be checking prices here and there all the time, I will probably tend to just buy whatever it is I need at the time in whatever store I happen to be in when I notice the product and remember I’ll need it soon. “almost half as many coupon books throughout the year? Am I missing something? I do not like the way they changed their coupon book and will be shopping less at Costco because of that. I would opt out of the physical coupon book if the online one was in a resolution that we could see clearly. The quality of the online book is truly unacceptable. Even all the area online grocery store ads are far superior quality. May as well be quality from 15-20 years ago like looking at an old Atari screen. Come on, it won’t take your web designers much effort. Now that I just scrolled down and read these comments…doesn’t look like many people are happy with the change in the coupon book protocol. I too will not be shopping as often at Costco. I love the experience, but I need the coupons to be able to justify the massive amount of money I spend there. It is a pretty good hike for me to get there in fact we make a day of it when we do go. So basically no coupons. Can anyone tell me why they have never accepted manufacturers coupons we get in our newspaper that ALL the other stores take?? Too much work? I’m just curious. This sounds like what every other grocery store, that you don’t have to pay to shop at, has to do EVERY WEEK! Albertson’s, Rosauers, Target, Wal-mart, etc. put out sale ads weekly, and haven’t heard them complain. And we don’t have to be in a ‘club’ to shop. It’s the job, right? I’m on a slim budget, and I shop the ads, even buying things I wasn’t planning on getting just because they were on sale. Big mistake Costco. Another reason people are shopping more online. I have also purchased sale items at Costco only to go back for them and they’re not there. Guess it works BOTH ways.